Predicting the future is the best way to look foolish. Just ask the hundreds of doomsday prophets throughout history… we are still here! Yet, for the performing arts to flourish, it helps to anticipate trends… or risk empty seats and a stale product. I believe dance, and how we experience it, is primed to parachute into a fresh landscape over the next decades. Following Arthur C. Clarke’s futurist lead (even if his 2001 foretelling did not quite eventuate in 2001…maybe later), here are three of my predictions for dance, in the not too distant future. Our traditional cathedrals of entertainment – theatres – are not cost effective. The trend of production overheads increasing at a disproportionate rate to theatre takings is set to continue. To become sustainable, auditoriums would need to expand at the same rate as the inflationary costs of set production and theatre hire. But a 1500-seat auditorium will never increase its capacity and, with a progressively competitive entertainment industry, ticket prices must be set attractively; Houston, we have another problem! Corporate nous within dance company management structures will continue to shape the way companies operate. Marketing plays a key role here and will encourage targeting of a diverse audience demographic to maximise the bottom line. Reaching a wider audience has a three-fold positive effect of increasing ticket sales, boosting sponsorship and diversifying donors. In order to achieve this, new performance spaces will need to be explored to encourage new portions of the populace to experience dance, in particular, men, and Gen. Y (ages 24 – 40). Theatres are often intimidating spaces for the unacquainted, associated with elitism. This may be attractive to existing audiences but also limits box office and popular appeal. The presentation of live performance on companies’ online platforms will continue to be expanded upon. However, the really exciting space for the performing arts is in virtual and interactive technologies. Holographic projection and sensor reactive technology promise to produce a truly immersive performance experience. Producing a virtual showing, in which the audience actively participates, will add another dimension to the way we experience dance art. This could also transport dance products into relatively unexplored environs – such as sporting events, remote regions – cost effectively and with relative ease (when the technology is affordable). Prediction 2: The impresario will rise again! It's no secret that our ageing population, and the resulting fiscal pressures on government spending, will increasingly compel parliament to prioritise essential services such as healthcare and education. Government funding for arts organisations is already dimishing – this situation will deteriorate. Smart dance companies are future proofing by embracing corporate sponsorship and private donations as principal sources of funding. Large companies should have enough systems in place to survive, but medium to small sized companies will struggle. Many of these groups and creatives will be absorbed into privately funded projects and tour groups (expanded upon below). The increasingly ageing population (with increasing numbers of cashed up 50 pluses with no dependants) will have the means and opportunity to support and create artistic ventures. Additionally, with many sans children, the ageing populace will seek opportunities to leave their own lasting legacies. Future Colonel Wassily de Basils (de Basil being the Russian impresario behind the post-Diaghilev Ballets Russes), will want more influence than an arts organisation’s private donor program can afford. For individuals who desire artistic control and legacy building, the decline of government funding for small and medium sized companies will mark an opportunity to fill the gap and produce their own artistic offerings. Large companies will increasingly look to performances to cover costs and engage with a broader demographic. 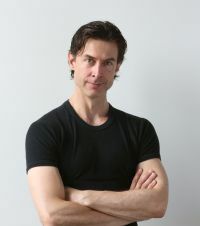 Arena performances are not new – Derek Deane started this model with English National Ballet in the late 1990s – but these will become more common. The “wow-mega” production, if successful, will tick a lot of financial boxes, as well as delivering arts marketers a great space to engage with new demographics outside the traditional theatre setting. As such, the performance product will need to appeal widely. Therefore, popularising dance in this expansive setting will necessitate a push into hybrid offerings which cross-pollinate with various performance arts with established demand, such as theatre, puppetry, magic, singing and circus. To some extent, arts organisations already dabble with varying disciplines. However, the frequency and degree of these collaborations, and the range of settings, will increase in the future. Management guru Peter Drucker once said, “The best way to predict the future is to create it.” My predicted environment for the future of dance has already been partially created, with full realisation – I believe – in 2031 (approximately). It is a worrying time for small to medium sized dance companies, which rely heavily on government funding platforms. While change brings opportunity, that can be as scary as it is exciting. Personally, I am looking forward to 2053, and my comeback performance in the weightless environment of Mars!